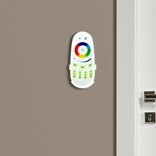 Store your AppLamp remote control in a handy wall mounted holder. 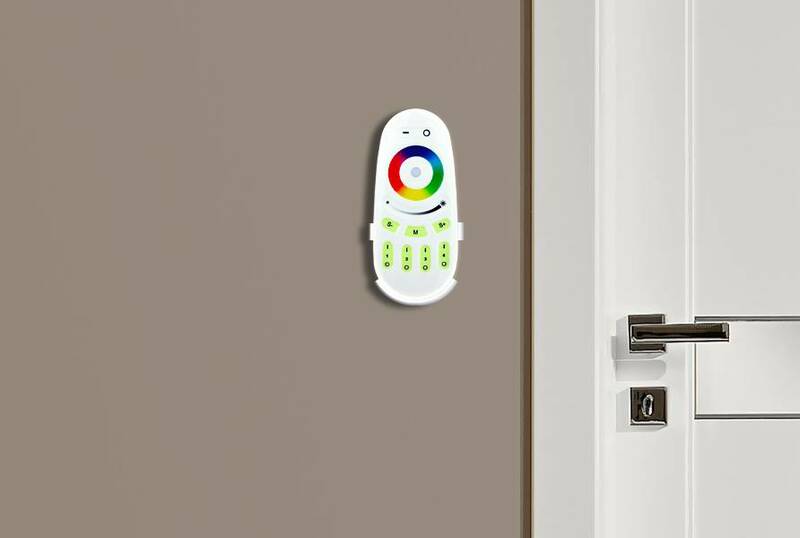 This way, you can use an additional remote easily as a wall switch at the door or in another central location. Wall mount holder suitable for all types AppLamp remotes. Fix the wall mount holder using supplied set of two plugs and two screws, or with the selfadhesive strip. You can use an additional remote easily as a full-fledged affordable wall switch at the door or in another central location.